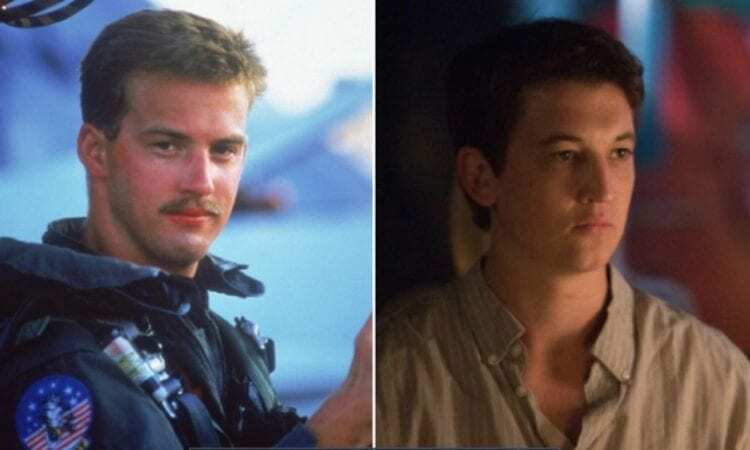 He was up against some stiff competition, but it looks like Miles Teller has won the role of Goose’s son, Bradley in the upcoming Top Gun sequel, Top Gun: Maverick. Teller was up against Set It Up’s Glen Powell and X-Men’s Nicholas Hoult for the coveted role, but we think that he will be the perfect fit! Anthony Edwards played the original role of Maverick’s wingman and best friend Nick “Goose” Bradshaw who died after having to eject from his jet in the first film. He left behind his wife Carole, played by Meg Ryan, and a young son named Bradley, who Teller will be playing in the sequel. It’s unsure yet if Ryan will be reprising her role. Teller joins a returning cast of Tom Cruise as Maverick and Val Kilmer as Iceman, who are heading back to The Top Gun Naval Fighter Weapons School as instructors in a film that Cruise has promised will surely possess the same spirit as the beloved original. While we’re still upset over the fact that Goose won’t be in the film, we are really excited to learn more about Bradley and just how much of Goose’s personality and legacy has stuck with him after all of these years. Of course, Anthony Edwards is still hoping for a Goose revival. “Get on social media, and start lobbying for Ghost Goose using this hashtag: #ghostgoose,” Edwards said. “And tell America you feel the need, the need for ghost Goose,” Edwards jokingly said while appearing on The Late Show wth Stephen Colbert last year. Teller recently starred in Thank You for Your Service and Only the Brave but has also appeared in 2015’s Fantastic Four, The Divergent franchise, as well as a standout role in 2014’s Whiplash. He’s shown that he’s got the acting chops for both serious and action, which makes him a great fit for the role.